Beauty queen and model, Reabetswe Rambi Sechoaro will present South Africa at the 2018 Miss International pageant. She recently won the Mr and Miss King and Queen of South Africa pageant where she was crowned Miss Queen of SA. 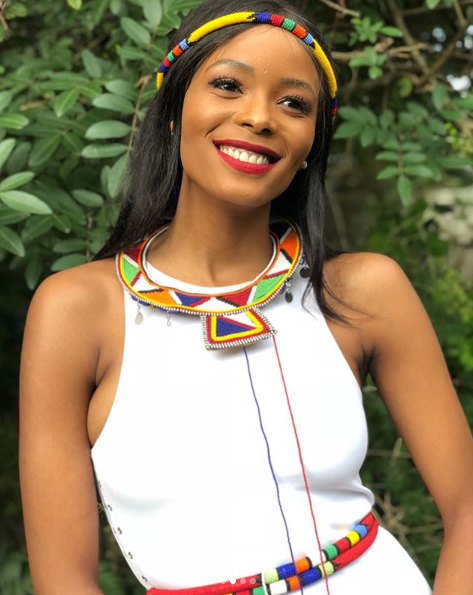 The crown will now see her represent Mzansi at the Miss International pageant similar to how the Miss SA crown allows beauty queens to compete at the Miss World and Miss Universe pageants. If Rambi wins the title, it will be a first for the Africa continent. She is no stranger to the spotlight though. Despite being the sister of Queen B*, Rambi is also a model who, in 2017, signed a deal with Himeros, a luxury swimwear brand, as one of their campaign models. Furthermore, she was a contestant at the 2016 Miss South Africa pageant which was won by Ntandoyenkosi Kunene. “1st of all I’d like to thank God for entrusting me with this title. To the @kingandqueenofsa organization, the judges, my family, friends and everyone who believed in me and who supported me, your kind words and motivation has seen me through it all and without all of you I wouldn’t be in this position! I truly appreciate it,” said Rambi.